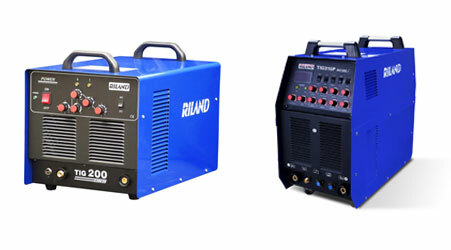 Tig Welding Machine Inverter Base is suitable for light & medium duty work. 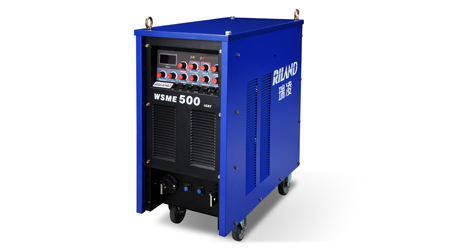 DC welder suitable for stainless steel, alloy steel, carbon steel, copper, titanium, etc. Suitable for welding of Aluminium & its alloys. 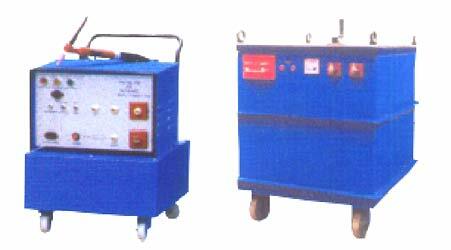 The most reliable & durable AC Power Source, Input Supply 2/3 Phase, 50 Hz with selection of higher OCV for smooth arc. Step less, sound less, minimum maintenance. Air Cooled / Oil Cooled. 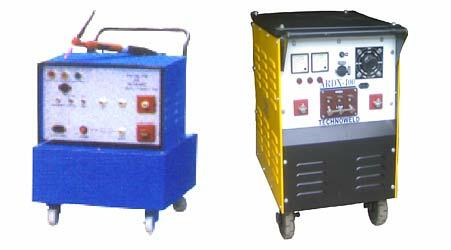 With gas control, H.F. Control, pre & post flow of gas for superior welding. H.F. Cut off Timing: 0 to 10 Sec. Gas post flow / pre flow: 0 to 10 Sec. Input Supply: 220V, 1 Phase. Consist of Water Tank with rust free inner coating fitted with Pump & Radiator mounted on wheels. (Models with Chiller also available). Water cooled, light in weight, heavy duty with 4 Mtr. / 8 Mtr. Long leeds complete with accessories. Equipment consist of DC Power Source: 300 Amps, 400 Amps, 600 Amps. With water failure safety device for safety of Torch. Soft switch technology, high efficiency, low power consumption. Automatic protection from over current, over heat, over/under voltage. TIG welding and MMA welding. Up/down slope of welding current arc Pre & Post flow of gas. With automatic HF Control. 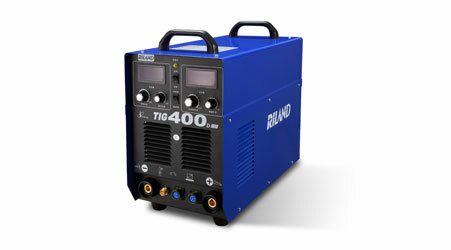 In TIG welding stich welding option is there. The build-in circuit guarantees a good arc-ignition and crater filling In MMA welding, can be used with all kinds of electrode of diameter below 5.0mm. In TIG welding can weld stainless steel, alloy steel, copper, titanium etc. Fine current Controlling. The Arc Force knob can Increase the arc force and prevent the welding electrode struck to work pieces. Remote control current regulator - optional. Suitable for welding of the stainless steel parts, pressure vessels and pipeline, provide more efficiency. A Voltage fluctuation of ± 20% is allowable. 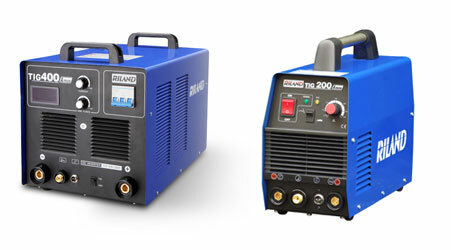 Light in weight, portable, multi purpose TIG/MMA (Stick welding) machine. Reliable arc start with HF, deep penetration. Easy arc striking, stable current, high speed & dynamic response.